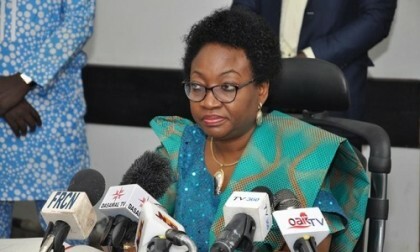 The Head of the Civil Service of the Federation Mrs. Winifred Oyo-Ita has stated that governance at all levels will be better managed and result oriented if more qualified accountants are given the opportunity to serve as leaders in both public and private sectors. The statement which was released by an assistant Director at the Head of Service, Mohammed Manga said, Mrs. Oyo-Ita said this yesterday at the Celebration of 15th Institute of Chartered Accountants of Nigeria (ICAN) Political Ambassadors held in Abuja. She said that the more involved chartered accountants are in governance, the more the society will be corrupt-free. The Head of Service who is also a Chartered Accountant stressed further that, “ICAN members are better managers of the economy; they have what it takes to add value. The accountant has a big task especially now that the war against corruption is being intensified by the government.” she said. Some 17 ICAN members were honoured by the Institute as political ambassadors from across the country. Among those who made the list were five state governors, one deputy governor, the Head of the Civil Service of the Federation, three Senators, five members of the Federal House of Representatives and two ministers. Chairman, ICAN Inter-governmental relations Committee, Abuja, Ada Chiduime-Okoro, explained at the event that the ICAN Political Ambassador ceremony was carefully planned to coincide with the commencement of this year’s Annual Accountant Conference, which kicks off today, and to draw members’ attention to what God is using ICAN to do for Nigeria. Earlier in his address, the 52nd President of ICAN, Deacon Titus Soetan, said that as part of its efforts to fight corruption, the Institute recently created N50 million Whistleblowers’ Protection Fund, to ensure high moral, financial, ethical and legal standards by members in the discharge of their duties. The aim of the Fund according to him “is to protect ICAN members and the public from any form of reprisal or victimization when an alarm is raised on financial impropriety by public or private establishment, individuals or groups within the country”. Adding that the Fund will also assist whistle-blowers with litigation expenses reasonably incurred and to assist members of the Institute in discharging their professional duties without fear of being victimized.